Since 1921, Woods & Aitken LLP has focused its practice of law on achieving long-term client success. Our commitment to client service has fueled the expansion from our original Lincoln, Nebraska, office to establish offices in Denver, Colorado; Omaha, Nebraska; and Washington, D.C. The longevity of our client relationships has also afforded Woods & Aitken the opportunity to emerge as a national leader in the practice of construction, telecommunications, and banking & finance law. However, we are at our best when our focus is on leveraging our Firm's broad expertise to assist individuals and businesses to reach their goals. To that end, we invite you to spend time to review the information presented at this website, and then to contact us. We'd like to learn more about you and explore the possibility of becoming a partner in your ongoing success. Woods & Aitken has represented corporate clients as well as individuals in all chapters of bankruptcy Chapters 7, 9, 11, 12 and 13 acting both as creditor's counsel, creditor's committee counsel, trustee's counsel and counsel for debtors. The Firm possesses extensive experience in large and small corporate and individual bankruptcies. -Joseph H. Badami, a partner in the Firm, has served as a Panel Trustee in Chapter 7 cases in the State of Nebraska for more than 30 years, and also as an attorney for creditor's committees and creditors. -Members of the Firm have served as officers and on committees of the Bar Association Sections concerned with bankruptcy law. Members are also involved in planning and participating in bankruptcy law seminars. -The Firm offers extensive experience in case management of information and documentation in large, complex bankruptcy cases, including preparation of schedules, statements of financial affairs, plans and disclosure statements, and preparation, filing and prosecution of claims. -The Firm also has experience in preference and asset recovery actions, filing over 300 such actions in a large financial institution bankruptcy. Such actions resulted in recoveries of over $10 million for the various estates and secured creditors. -The Firm has also represented various financial institutions in filing and prosecuting claims in all Chapters of the Bankruptcy Code. 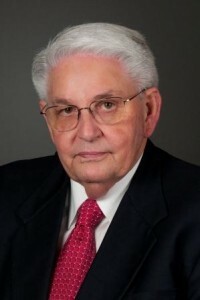 Joe Badami has served in several legal positionsincluding judgesince he graduated law school in 1965. He joined Woods & Aitken LLP in 1989, where his practice areas include commercial litigation, creditors' rights, debt resolution, and real estate. Joe has been the lead attorney or trustee in several of the largest bankruptcy cases in the District of Nebraska. He has served as an attorney for the Nebraska State Department of Insurance, Prosecutor and Judge for the City of Lincoln and General Counsel for the former First Federal Savings and Loan. In addition to his practice, Joe currently serves as one of Nebraska's Panel Trustees for Chapter 7 Bankruptcy cases. He was recently selected by his peers for inclusion in The Best Lawyers in America 2015 in the field of Bankruptcy (Copyright 2014 by Woodward/White, Inc., Aiken, SC). This marks the 19th consecutive edition that Joe has been listed in Best Lawyers. In 2014, Joe was recognized by the National Academy for Bankruptcy Attorneys as one of the "TOP 10 bankruptcy attorneys in Nebraska. He is also published in Corporate Counsel as a "Top Lawyer" under Bankruptcy and Creditor-Debtors Rights Law. Joe is active in Continuing Legal Education and has lectured on various educational panels and seminars regarding bankruptcy law, creditors' rights, and real estate. -University of Nebraska College of Law, J.D.